Visit Cagliero Ranch Nursery's profile on Pinterest. A general guideline on how to plant a plant, how to water, and general care to keep your plant healthy over time. Information on watering, pruning, and troubleshooting for Citrus. A basic guide to caring for deciduous fruit trees. A guide on how often and how long to run your drip system. I love houseplants. They really brighten a room, and there are so many options depending on what kind of light you have, what growth type you want, etc. 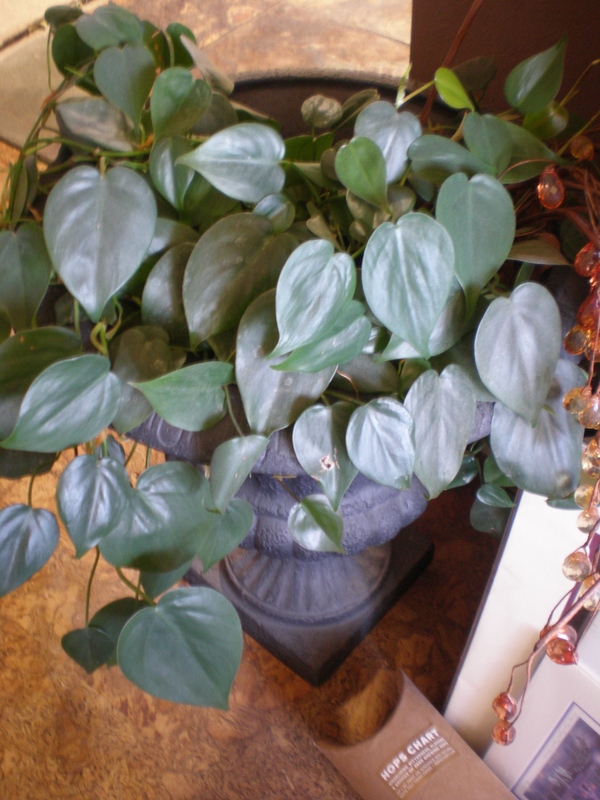 Today, I’m going to feature a personal favorite of mine- heartleaf philodendron. I love this plant for it’s versatility and beautiful leaves. 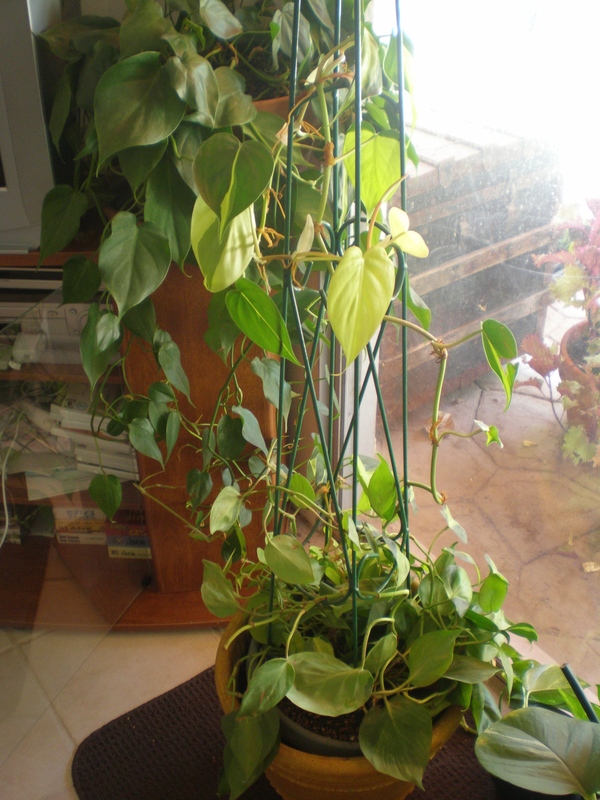 This is one that I have growing in an urn, allowing it to drape down the sides. 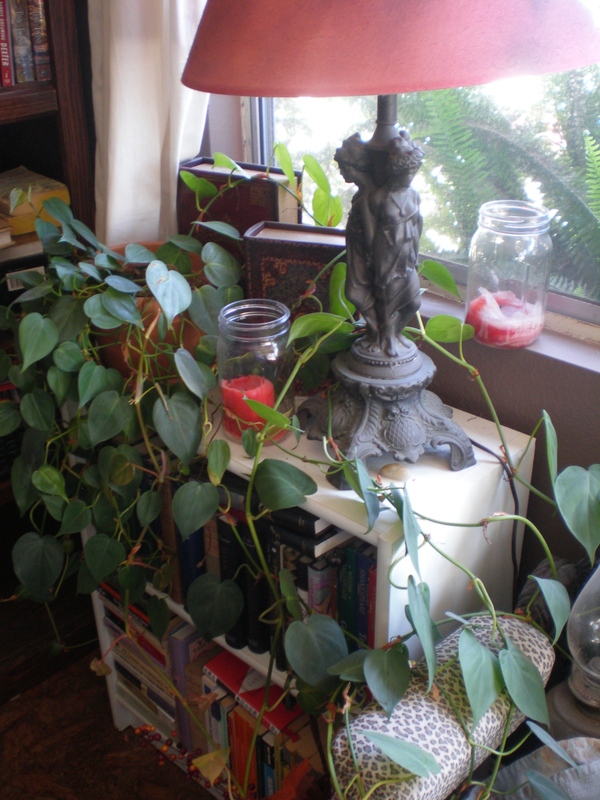 Many people think of heartleaf philodendron as strictly a hanging plant indoors, but I have it growing many other ways. On a bookshelf is a particularly charming place for this versatile plant. I love how it trails down the sides of the shelf. This is one trained upward to climb on a trellis of sorts. I have also used bamboo stakes to train them up in front of a window. It’s not too picky about light, taking anywhere from low light to bright indirect light. I find it grows faster in brighter light. It can be very vigorous, so you will most likely have to trim it occasionally. 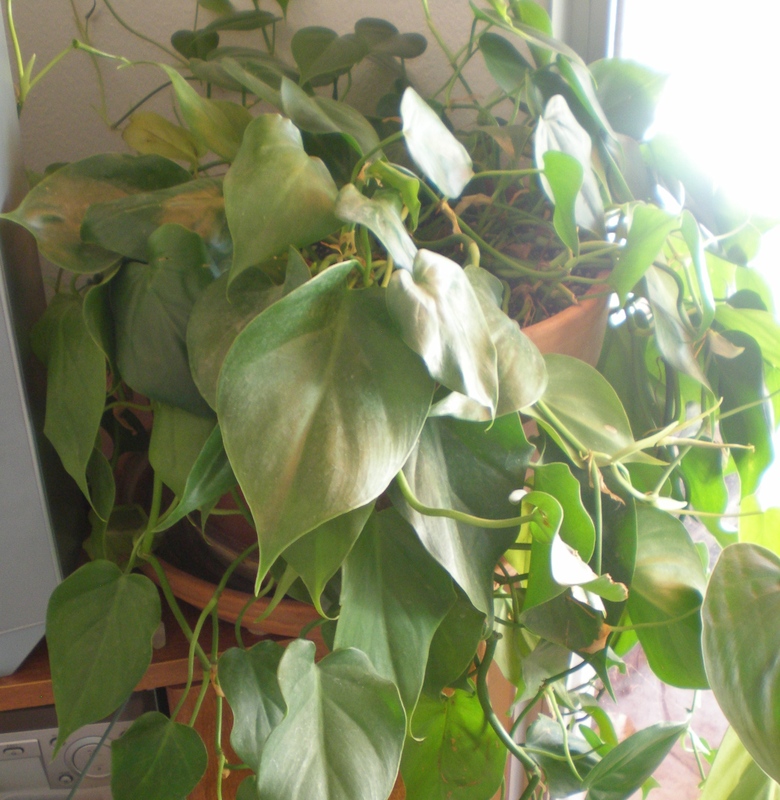 It is also one of the best plants for cleaning the air. It is poisonous if consumed, so keep out of reach of children and pets.